I am so excited that THE GLITTERING COURT by Richelle Mead releases today and that I get to share the news, along with a special giveaway for a signed copy of the book and a $25 Sephora Gift Card courtesy of Richelle, Penguin Teen, and Rockstar Book Tours! First, here’s more about the book! And now for the exclusive excerpt! Enjoy! And now for the giveaway! 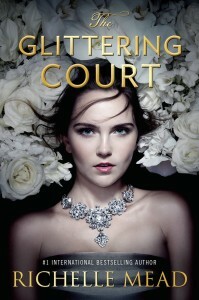 One winner will receive a hardcover of THE GLITTERING COURT & a $25 Sephora Gift Card. US Only.